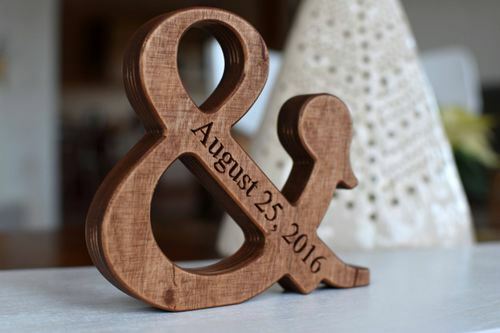 6 inches large personalized free standing wooden ampersand sign for wedding gift, wedding decor, 5th wedding anniversary gift or home decor as well as for St. Valentine's Day gift. 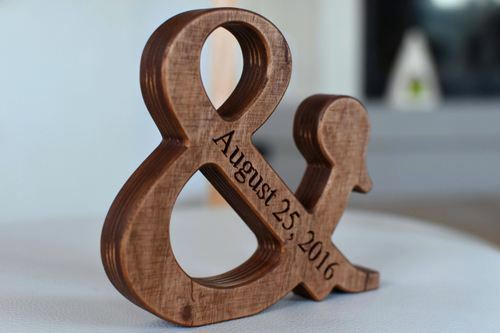 This wooden ampersand will make a unique and personal gift. 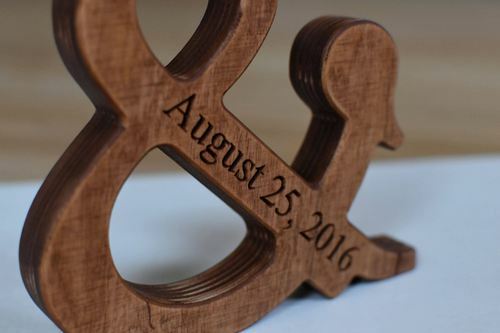 We can engrave any name, word or text on this wooden ampersand. Just let us know!